All About Black Galaxy Granite Countertops. 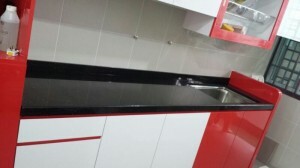 The best part about using black galaxy granite is that nothing can destroy it, be it putting on top of it a really hot items or be it cutting on it with a knife. The granite doesn’t dull off neither it gets damaged. So, it is long lasting and completely safe. The black galaxy granite is stain resistant once it is sealed in. This thus, helps in keeping it pristine throughout. The granite is non porous in nature, so it getting dirty and becoming impossible to clean is out of question. the dirt does not settle in, so it is easy to clean and maintain. The colour of black galaxy granite never fades out or dulls down. So, it looks new all the time. Besides, the black colour looks very classy and sophisticated. The arrangement of minerals in black galaxy granite is not the same. So, every granite looks different. Black galaxy granite is cheaper than marbles and wood. It is easy to maintain and it is highly durable. The only care it needs is that it needs to be sealed in every 2 years. Apart from that it is an excellent choice for the purpose of home interiors. It looks great and it is available easily and is quite affordable. It is very easy to maintain and does not need any fussy cleaning techniques. 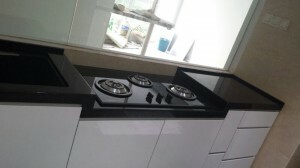 With black galaxy granite one can have a great looking home and the durability of this is praiseworthy.